Gemini Cobweb Felt Scarf. 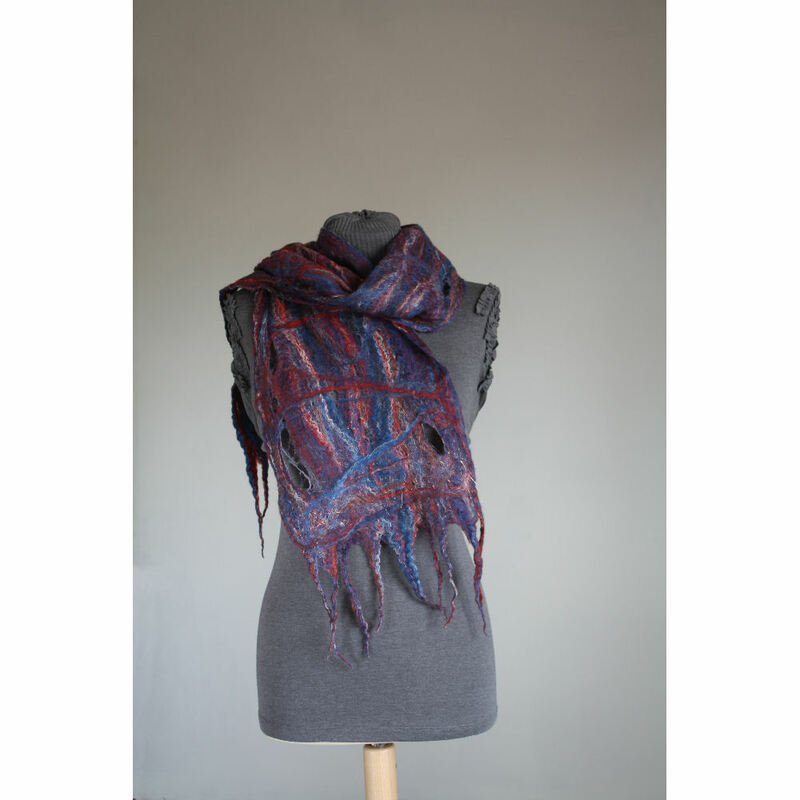 One-off, hand made cobweb felt scarf; using Merino wool and silk fibres in a range of deep blue and warm red tones. This scarf has a unique cobweb hole pattern, yet remains a warm and soft winter scarf. Practical and stylish. Product code CWFS ND GM 052011.